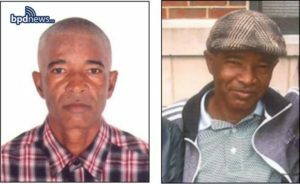 Man stabbed to death in Dorchester; Police suspect victim's father | Homicide Watch Boston | Mark every death. Remember every victim. Follow every case. A 35-year-old Dorchester man who was fatally stabbed during a domestic dispute on Tuesday was identified by police yesterday as Brendan Tahatdil. At about 7:45 AM on Tuesday, March 7, 2017, officers responded to a call for a person stabbed in the area of 66 Hartford Street in Dorchester. On arrival, officers located the 35 year old male victim suffering from an apparent stab wound. The Brendan Tahatdil was transported to an area hospital where he was later pronounced deceased. According to the Boston Police Department, Desmond Tahatdil, 55, who is the father of the victim, is under suspicion. The Boston Police Department is now seeking the public’s help in an effort to locate Desmond Tahatdil. As per the BPD, Desmond Tahatdil, who has ties to New York, is described as a black male, 5’8” tall, weighing approximately 175 lbs. They have also released his picture which can be found below.